Accident investigators report that two people were killed in a recent motorcycle accident in Howey-in-the-Hills when an elderly driver crossed the centerline and struck their motorcycle head-on. Police report that the accident occurred around 2:30 p.m. on State Road 19 near Savage Circle. They say that a Jacksonville couple was riding their motorcycle north on S.R. 19 when a southbound Toyota sedan driven by a 74-year-old Howey-in-the-Hills woman crossed the yellow line and into the path of a group of four motorcycles. The driver sideswiped one motorcycle before striking the Jacksonville couple head-on, ejecting and fatally injuring the 64-year-old man and his 61-year-old wife. The man was taken to Florida Hospital Waterman in Tavares, where he died from his injuries. His wife was airlifted to Orlando Regional Medical Center, where she later died from her injuries. Police say that the couple was wearing helmets, gloves and other protective clothing, but the force of the impact was too severe. Investigators say that the driver was Leesburg Regional Medical Center for evaluation. She complained of having chest pains after the accident occurred. The riders on the other three motorcycles were not injured in the accident. Police have not yet filed charges in connection with the accident, pending the results of their investigation. We do not yet know why the driver crossed the centerline with her car and struck the riders, but the circumstances are grimly familiar to motorcyclists here in Florida and across the country. Many motorcycle accidents are caused by drivers of larger vehicles crossing into the path of or otherwise violating riders’ right-of-way. In most cases, the rider has little or no time to take evasive action and are badly injured in the resulting impact. If you are one of the thousands of Floridians injured each year by negligent drivers, you need and deserve experienced representation by an Orlando personal injury attorney with a proven record of success helping injured riders. 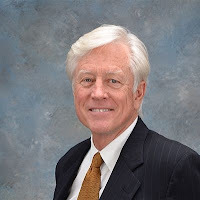 In nearly 40 years of practicing law, James O. Cunningham has helped countless injured riders receive the damages they deserve to compensate them for pain and suffering, replace lost wages and property and other damages. If you would like to speak with Mr. Cunningham, schedule a free consultation today by calling his law office at 888-FLA-AUTO (1-888-352-2886) and get an aggressive Orlando motorcycle accident lawyer on your side!